In Poland during the 17th century the nobility were known as szlachta. They were legally above everyone, even the king, and some even applied an even racial superiority over the Polish populace with Sarmatism. These nobles developed a unique way in which they could challenge one another to a duel. The Italian method of private dueling, described by authors such as Baldassare Castiglione, involved the sending of a challenge back and forth between seconds, often involving a glove. The use of a glove was a leftover from judicial duels in which an armored gauntlet was tossed to the ground as a form of challenge. During the issuing of a challenge, rules were put in place regarding the duel including, time, place, and the matching of weapons. The expectation was that the two aggrieved parties would meet, and the dueling would take place between only the aggrieved and the accused. While seconds at times jumped in, this was not expected. The arranging and fighting of a duel was done by agreement, and became the standard by which most Europeans approached private dueling from the 16th century on. In Poland, the szlachta did engage in the Italian method of private dueling, which by its nature was illegal, but also had their own, entirely legal way of engaging in a duel. On horseback, the Poles did partake in jousts. These jousts were partially for entertainment and bravado, but were a form of dueling and deadly. Western Europe had adopted wooden lances with safer metal tips meant to unhorse an opponent or break a lance, so that in the 1500s and 1600s, jousting was largely safe. Men did die, and the King of France was killed in a joust in 1559, but this was an accident. In Poland, into the 17th century, jousts were done with sharp lances, not ones meant to unhorse an opponent or shatter the lance. If a Polish szlachta felt he was insulted, or in danger, from another noble, an official challenge could be written up. This was called an odpowiedź which means, answer or reply. The odpowiedź included details as to why the challenge was being issued. The odpowiedź was delivered to the district court, which acted as a post office as well as a place where legal matters between nobles could be brought up. The head of the District Court was a judge called the Sędzia Ziemski. If the slights and insults were deemed legitimate by the judge, then he would approve the odpowiedź. Once the challenge was approved, the aggrieved party was legally entitled to make war on the accused by any means. This include conducting raids on his territory, ambushing his retainers, burning his villages down and trying to ambush him in the dead of night. For the Polish, the odpowiedź was a legal, private war, not just a duel. Stanisław Stadnicki, known as the Devil of Łańcut, was a war-hero turned robber baron of the late 16th and early 17th century. From the safety of Łańcut castle, he and his men raided the roads and harassed the villages and towns of the local nobility. His particular favorite target was Łukasz Opaliński, a powerful noble, who held offices in the name of the king and was seen as a royalist. The excesses continued, with Stanisław trying to force trade to his illegal fair, the mutilation of those merchants who didn’t play along, and the possible minting of counterfeit coins in his castle’s basement taking place alongside the torture of his victims. Stanisław might have been a merciless bandit lord, but by targeting a favorite of the king, he endeared himself to the Polish nobility, who were always fearful of royal power and couldn’t help but root for the fellow, in much the same way criminals, the likes of Billy the Kid, Bonny and Clyde, and Lucky Luciano had popular notoriety with the American press. Eventually, Stanisław’s excesses proved too much and Łukasz issued an odpowiedź to the district court. This was approved and the private war was on. Raids were launched back and forth, but the Devil’s luck ran out. His castle was burned and his mercenary bandits were forced to live off the countryside. He was wounded in an ambush on August 20 1610 and was caught by a Tartar in some nearby woods. The Tartar beheaded Stanisław with his own saber and for his deed was made a noble by Łukasz. While the Polish nobility had legal means to exact vengeance and war upon one another, situations like that of the Devil of Łańcut were rare. Jan Pasek, in his 17th century memoirs, noted that he did not like challenges very much because he feared ambush. His preferred method of dueling was to engage, one on one, in the Italian style, but minus the ceremony. As for the Devil, though dead, he wasn’t quite done. His wife and children went on to cause trouble in Poland earning their own nicknames, namely, the wife and brood of the Devil. The odpowiedź was just one expression of the power of the Polish nobility. The szlachta were as a whole more powerful than the king. They were able to flout his laws, ignore his call to arms, and they could even legally rebel from him, and legally wage war upon one another. They were a fiercely independent group which would define the Polish character of the 17th century, but also consign the Commonwealth to ruin as the independence of a few was at the cost of the nation. The Italian method of private dueling was largely illegal where it was practiced. By the mid to late 1500s, sanctioned duels were becoming more rare and by the 1600s, the monarchs of Europe and the Catholic Church had intensified anti-dueling efforts. A man might be hanged for dueling if he killed his opponent. Still, dueling persisted and the Italian method was the standard most of Europe followed when it came to etiquette. Poland in the 17th century was well aware of Italian dueling traditions and in some ways mimicked them ,but only to a point. The odpowiedź was suitable when men powerful enough to have retinues wanted to declare private war upon one another, but individual disagreements were usually handled another way that was reminiscent of Italian dueling traditions. The Poles were aware of Italian customs and Jan Pasek's memoirs give some hints to this. When he was on a military campaign, he had a disagreement with a fellow Pole in the camp. It was decided they should fight, but Pasek was not wearing his saber. He had to go to his tent to get it, while his opponent awaited him. In Italy, it was customary for men to choose matched weapons and at a time and place fight. Here, Pasek is not outright attacked, he is given time to get his weapon. Pasek proceeded to defeat his opponent, then the man's brother took up arms, and Pasek defeated him too. Both were stopped with cuts to the wrist. Then the master of the camp, a man named Marcyjan, strode up. Marcyjan was insulted that Pasek had decided to duel in the camp, which was forbidden. Pasek and the master of the camp agreed to fight outside of the camp grounds to satisfy the law. As Pasek was leading the way, the master of the camp attacked Pasek from behind, but thanks to his felt hat, he survived the first strike. Pasek then proceeded to clash with Marcyjan, saber to saber and cut him on the cheek. Pasek asked that they stop, but Marcyjan would have none of it. Eventually, Pasek was forced to take up his saber in both hands, and using it as a paddle, strike Marcyjan over and over until men from the camp broke up the fight. Everyone had been quite drunk. When everyone was sober, proper punishment was meted out. Pasek, according to his own rather high opinion of himself, was in the right and so he only had to pay a bit of money to help with medical costs. Marcyjan was the master of the camp and so the whole situation was blamed on him for not keeping better order. The customs of dueling are to be found, just not always followed. Two men were supposed to agree to fight and sometimes did, seconds were supposed to be in attendance, and sometimes they were, and certain customs were to be followed in an effort to cut the opponent, but not kill them. In all of Pasek's described duels, he notes that he aimed for the face or wrist. When he cut a man across the fingers, and later heard the man may have died, he fled. Pasek explained why. He did not want to spend time in jail, nor deal with another lawsuit. Lawsuits continually bedeviled him and the other szlachta. Kitowicz's account of Poland in the late 1600s and early 1700s echoes this. He noted that men who fought with the saber tried to cut a wrist, a cheek, an ear, and maybe slice off a hand, but did not try to outright kill one another. In his day, Polish nobles carried with them a walking stick with a warhammer attached to it called a nadziak, and other such names. Kitowicz said the duels with these weapons were deadly because they did not draw blood, and so men continued to fight with them until someone's skull was simply crushed. So fatal were such duels, that the Polish Sejm (Parliament) voted to ban them from their assemblies. An impressive act because only unanimous decisions were binding in the Sejm. 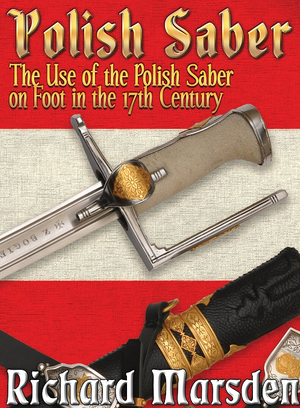 The accounts of both Pasek, Kitowicz and 17th century diary accounts all point to a dueling tradition that tried to avoid murdering by using the saber to cut at the cheek, and leave a signature scar, or the hand, including the wrist and forearm. While potentially fatal, such strikes were safer than any thrust with a blade, or swing of a warhammer! Clear rules exist, but there is no strong enforcement of them and tweaks to Italian customs are common. Pasek says he knew of a man who wanted to challenge him. Rather than wait for a time and place to be decided upon, he rode up to the man's house and demanded they fight then and there. The man apologized. One has a sense that Pasek may have not ridden up alone to the fellow's abode. An Italian traveler in Poland was subject to the terrors of a local szlachta, Prince Zbrouski. The Prince had the Italian put in a cage, covered in honey and had bears lick him clean. He took the wheels of the man's wagon, so he was stuck, so as to be subject to more embarrassing pranks. So annoyed was the Italian, that he challenged his tormentor to a duel. The Polish noble, aware of the customs, said he could only duel a man of equal rank. The Italian sent word to his homeland and procured, at a cost, evidence that he was in fact related to some long distant Patrician, and thus eligible to duel the Prince. When presented with the evidence, Zbrouski laughed, and continued on with his torments. Dueling without the proper paper-work was somewhat illegal. If a man were to die, his family could sue, as Pasek lamented. The King stated that duels in his presence were to be punishable with death. When Pasek punched a man in the face and demanded a duel, all in the presence of the King, he could have been hanged. Instead, the King shrugged and smiled. Polish jousts were deadly affairs, but their primary purpose was not to settle an insult or dispute between men. Legal Polish dueling exists, but the odpowiedź was meant for men to declare war on one another, which included raids and small-scale skirmishes. This was not primarily meant for just two individuals. Private duels were illegal, but punishments were left to the courts of the aggrieved parties and rules about dueling, while in place, were often ignored. They were most often fought with sabers, the customary weapon of the Polish nobility, but, the Italian rapier was not unknown either, as one of Pasek's opponent's in a duel/brawl had one. The Poles were well aware of Italian dueling customs, they just chose when and how to follow them. Prince Zbrouski and his Italian guest being a prime example. Pasek and Kitowicz, as well as 17th century diary accounts, make it clear that while Italians might duel to the death with one another, Poles by and large tried not to kill their fellow Poles. Pasek, for example, cuts every opponent he duels with, fellow Poles, but he stabs people he is at war with. Kitowicz glorifies the saber for how it might maim a bit, but at least it didn't kill!